You will earn 82 Points for purchasing this product. Expert Advisor TFOT is based on two different strategies: scalping strategy and breakthrough strategy. Both strategies work like two single modules. It help to avoid big drawdowns and strategies will hedge each other. Strategies use signals from standard and non standard build-in indicators and open/close prices values. 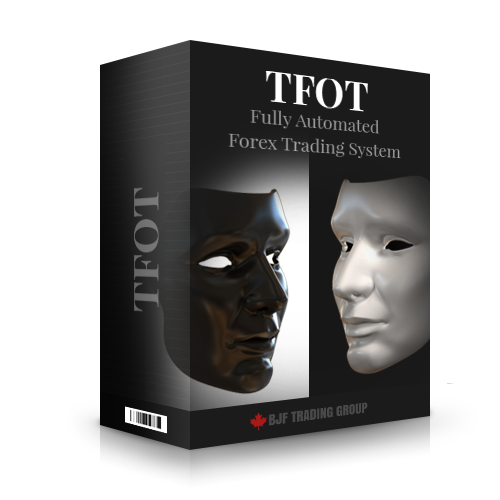 Forex Robot TFOT contains artificial intellect (multi-layer kohonen neural network). Neural network is fully trained, but can be re-trained by customer. What are Kohonen's networks ? Kohonen's networks are one of basic types of self-organizing neural networks. The ability to self-organize provides new possibilities - adaptation to formerly unknown input data. It seems to be the most natural way of learning, which is used in our brains, where no patterns are defined. Those patterns take shape during the learning process, which is combined with normal work. Kohonen's networks are a synonym of whole group of nets which make use of self-organizing, competitive type learning method. We set up signals on net's inputs and then choose winning neuron, the one which corresponds with input vector in the best way. Precise scheme of rivalry and later modifications of synapthic wages may have various forms. There are many sub-types based on rivalry, which differ themselves by precise self-organizing algorithm. GMTAuto = TRUE -GMT shift auto determination. DoublingTrade = FALSE -two times lot increasing after loss. We recommend risk not higher than 5% for each strategy. Summary risk for both strategy will be 7%.